Why do people say that Swap force is the best game in the series? It's my least favourite in the series and I want to know what i'm missing out on. I don't have an intention to change anyone's opinion, but I want to understand them. Everyone's entitled to an opinion, but I really want to know. It's my least favorite as well. People like it because of the huge amount of post-game content, which I think is just too drawn out. EDIT: I also don't really like the changes it made from the first two. However, I really like the gimmick. And the cast is way better than Trap Team's. Because different opinions I guess? I disliked it enough to skip it,but for others it's either their entry point and/or the peak of the series. There's also that postgame content which seems good, but for me going through the main game for it isn't worth it :I Especially with unskippable dialogue. It's got probably one of the more satisfying story in a Skylanders game and the best post-game content. The SwapForce characters are all great and a very unique gimmick (unlike Flop Team and SuperChargers). The only problem is that some of the new core were not memorable...oh and the VV choppy design. I'd call the story the opposite of satisfying. Bad taste in my mouth,actually, even more so after Superchargers showed what happens when the writing team actually gets the hang of things. There was just no attempt at being anything but whimsical and funny, be it at the expense of the overarching plot or the characters. As someone who's freaked out over getting a flimsy, little Greetings from Cloudbreak Islands postcard from the game's lead writer at a con, for me it's the only Skylanders game I obsess over, the only one I keep coming back to. Maybe I just have rose-tinted glasses that are glued to my face. I don't rightly know. There's some sort of charm about Cloudbreak as a whole, I guess. Nothing can replace the Swappers for me. I really, truly think they're the best gimmick to date. They never fail to make me smile. Even just hearing the snap of their magnets gets me all fuzzy and warm inside. I continue to play as all sixteen even though they're basically useless now. I believe I've been writing about them for years now, so maybe that also has a bit to do with it. Don't think I'll ever stop, really, as I'm slowly find writing about the Skylanders and their adventures to be more interesting than playing them nowadays. Love my big-headed, cookie-cutter, Dreamworks-grinning, freaks of nature. Yes, yes, there's no story, the levels are repetitive, and the SWAP Zones are jarring, but I can't bring myself to hate it. Any of it. Dare I say it, I don't even have anything against Rufus. I wasn't a fan of Giants, so SWAP Force brought me right back in as soon as the teaser trailer hit. Don't even know how many times I watched that thing. But most people, as others have already said, appreciate it for all the things you can do after the game. I haven't even finished all of it yet. Probably should, since I doubt I'll be picking Superchargers up ever again, Trap Team just felt like Giants 2.0, and I can't ever imagine going back to play Spyro's Adventure. Anyway for me it's mainly the huge postgame and satisfying combat. I know some people find it too slow and I can see why, but I think this game easily has the best combat in the series and postgame is FAR more important to me than the main story. With most games I beat the main story once and just replay bonus content, unless it's been a while since I went through the main story or the game is short enough to play over and over (which I don't think SF is- something like Shovel Knight is my limit for that). Swap Force is my favorite Skylanders entry and will continue to be if Sky6 doesn't get any better. It may not be the best entry, but for me it was the most fun. Not only did it have the best gimmick, but also the most content and best gameplay, in my opinion. I still haven't completed everything or gotten to Portal Master Rank 80 yet. -Can't argue with the next two, though they've been outclassed now. -A personality isn't always good if gimmicky. 'Burps when scared' is definately a personality,but not one I'd ever like to see on a character again. I wonder what all the haters think of it now that Mario Kart skylanders came into our lives . SC shows VV does a decent game when they care(gimmick or not, the writing,the designs, the less blatant behavior of let's-just-copy-Dreamworks),for me that put SF down even more. As you can see, there's a reason my signature is what it is. I can't decide whether Swap Force or Trap Team is my favorite Skylanders game. I really love all the additions to the series introduced in Swap Force (and I definitely wouldn't be playing the games today if we just kept getting expansions to SSA/Giants over and over) as well as all the bonus missions and survival arenas, but I also think those additions meshed really well with TfB's style in Trap Team, plus I really love the villain mechanic. So I dunno. It was actually my least favorite too, I loved the figures and a bunch of the characters, but I didn't find the game all that good. I found the levels to be too long and repetitive and I wasn't a huge fan of some of the vast changes to it. I preferred Trap Team over it because while it was still different, they fixed up a lot of the things that I didn't really like in Swap Force. It could just be that I like what TFB do most of the time, but I liked Giants the most. It was simple, but easy to get into unlike Swap Force for me. Overall, I did enjoy Swap Force, a lot of things were improved from the previous games still. I can also see why people could enjoy Swap Force the most, but it really wasn't what I personally wanted from the series. Not too unbalanced, best gameplay in the series, best post game content and the best gimmick. I don't care about the story. Shows why I like Trap Team the least. -This is a super minor nitpick but I was disappointed that out of those 4 guardians or whatever, and how the plot involved trying to "evilize" them, you didn't fight any. Would've been a cool boss. Funnily enough, they planned on doing that during early development. They canned a lot of interesting ideas, actually, deemed to be too dark for the audience. I honestly just wish V.V went for proto-SF in the first place. I like Swap Force because it has the most extras and things to do besides the story. And of course the graphics upgrade. Even if it is redoing the same levels, it's still different cause it's replaying levels for the highest score or fastest time so it's at least a little different and gives more reason to play them again. I've personally never played any of the time attacks but I have played the score mode challenges cause I'm not into speed running. The Swap Force characters were cool as well. Edit: I also forgot to mention that I also like that the legendary treasures help with stats. Even though I think Trap Team's treasures make the academy look better and expand new areas. Fighting an Evilized Guardian was deemed too dark? C'mon, Evilized Whiskers made it in,and he's an actual recurring character, not putting into the argument that TFB isn't afraid of allowing Kaos to momentarily win. Shows how much of a REAL grasp on the series they had at that point, sigh. No wonder David did a full 180º and now his thing is doing crazy dark implications. It's a very controversial game, it changed so much in the series, some feel that it's for the better and enjoy these changes, some prefer how the mechanics worked before. I don't prefer it as such but I still like it. it may just be me, but it feels like its the very heart of Skylanders, like it has a nostalgic feeling from the first two games and then some new content that introduces us to the new games. Hello, my name is Eggs Benedict and I'm an angsty teen that likes to listen to casual bongos while eating exotic butters. I will say this . No other game in the series made me want to collect so many Skylanders . This cute little collection labels for completing a set was so addictive . When this came out, I had an all-time low expectation for kids' games. They were too easy (of course, that's a given for an upper teen who played video games her entire life), and it seemed they were missing something that I couldn't put my finger on. Whether it's life or what I don't know, but there's something jarring about modern (at the time) graphics meeting an unresponsive world. Swap Force wasn't missing that... whatever it was. The gameplay felt responsive, the graphics were amazing at that point, and the game had the type of gameplay variety I had been craving since the beginning of the series through it's Swap Zones. I think I've since figured out what felt so off about these other games, and it's all due to presentation. NPCs walking animations not matching their pace and enemies not reacting to being hit were pretty much it. Especially on the enemy thing. Might be something else too though, since old PS1 games that I know are objectively bad don't trigger that for whatever reason, but that might just be because of familiarity. The game felt good to play. I needed multiple tries to finish the Swap Zones on Nightmare, and despite that I had fun doing so. Nightmare Mode as a whole wasn't torture to play. Sure, the game has it's share of flaws, but it went so far beyond my pitiful expectations for it that I could ignore those. It wasn't merely tolerable - it was honest-to-goodness fun! I don't like it and I even skipped it. I don't like the gimmick, nothing. Character design, but some exceptions, look horrible to me, overall, plain horrible. New good graphics... I have dual feelings concerning this, since although the graphics are much better, it doesn't feel like Skylanders anymore. I watched the story... meh. Post-game content is fine, ok, but not enough to me. This is my opinion. As you said, there can be an opinion for each of us, all good, but it all depends on you. Assuming Imaginators is the last game in the series . You might as well play it when there is nothing else . I didn't like it as the controls were changed from the usual. The post-game content was meh- something they improved on in later games. The story was lackluster as well. 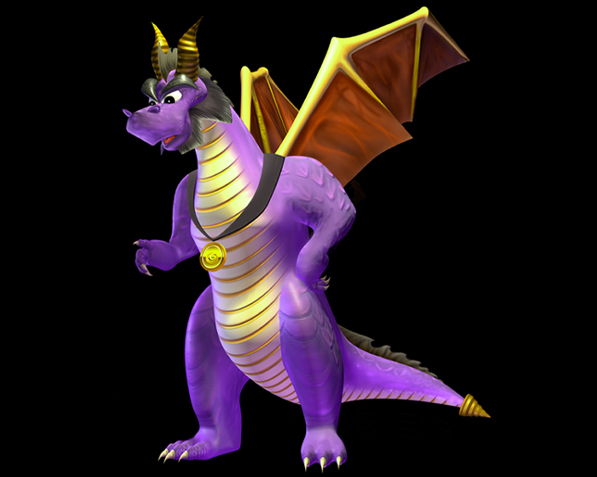 Just bad skylanders, forgettable NPCs (except Tessa) and brought HIM into the game. HIM. THE ONE WHO MUST NOT BE NAMED. Introduction of the best graphical rendition of the skylanders. After game content RULES: Tons of extra levels, with online scoring competition among friends! Star system introduced and the achievement it tracks makes truly competing it challenging! Boss only levels for replay value! Legendary statues allowed me to control skylander stats without putting on stupid hats. Story has always been the backseat of the series. We don't know anything about it yet, so let's calm down a bit. Anyway, I can always replay once more the ones I already have.